If you are tired of having unsightly silver or gold fillings you should consider having them replaced with tooth-colored porcelain inlays or onlays. Inlays are used to treat decay or defects in the tooth that is too large to be treated with a regular tooth-colored filling. Onlays are similar to inlays except they cover some or all of the biting surface of back teeth. 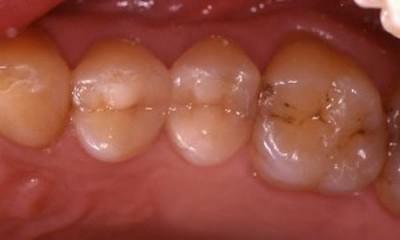 Onlays are sometimes referred as partial crowns. Replacement inlays and typically require two visits. During the first visit, your dentist will remove your old amalgam filling, take an impression of the tooth, and apply a temporary inlay or onlay. On your second visit, your dentist will replace the temporary inlay or onlay with the permanent one, fabricated in a dental lab using a porcelain material. The inlay or onlay seal and strengthen your tooth in a way that fillings cannot and will last much longer.